We’re still working on our renovations and baking time is at a minimum but every now and then I get a free hour to clear some space on the work top and make something simple. We like home made bread, home made meals and home made cake so it’s a necessity. So this afternoon I wanted something sweet and spicy and this was a new flavour for the wonderful magic cake. I’ve made the vanilla and chocolate recipes before and the way it bakes into three layers is truly magic. Simple and quick to prepare we’ve just tasted it for the first time and it is yummy! 1. Grease an 8 x 8″ tin. Preheat the oven to 170 degrees fan. 2. 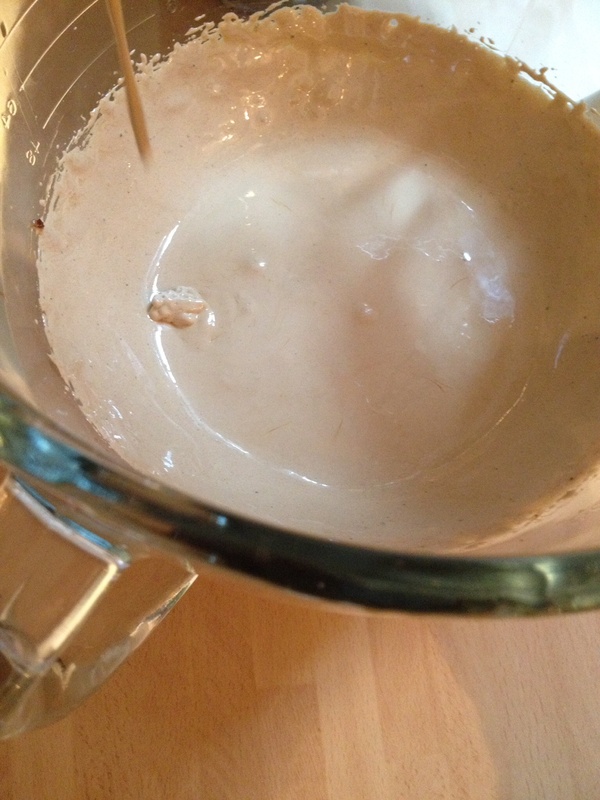 Melt the butter over a gentle heat with the black treacle, add the milk and vanilla and stir until mixed. 3. In a mixer, beat the egg yolks and brown sugar until light and fluffy. 4. 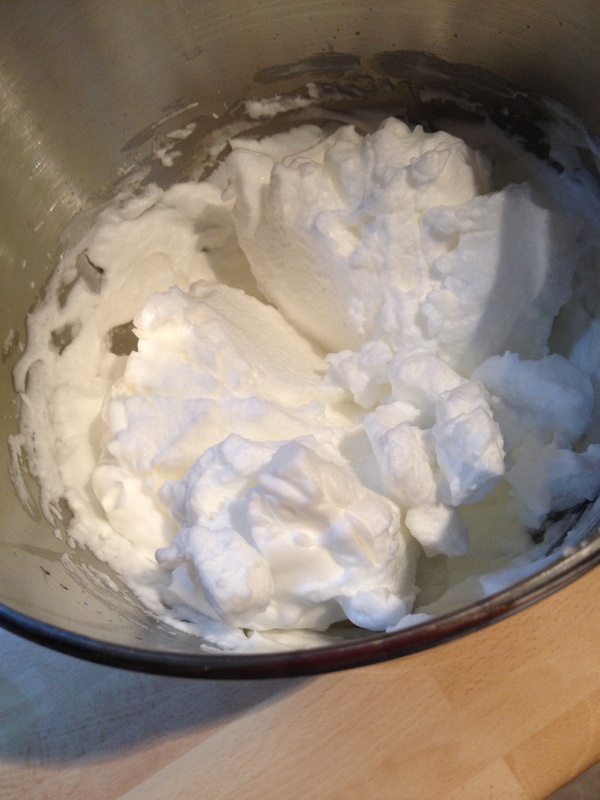 In a separate bowl whisk the egg whites into stiff peaks. 5. Add the melted butter mixture to the beaten egg and sugar. Mix on low speed until well combined. 6. Sift in the flour and the spices and mix gently until there is no sign of the flour. 7. Fold in the egg whites gently, making sure there are no large lumps of egg whites. 8. 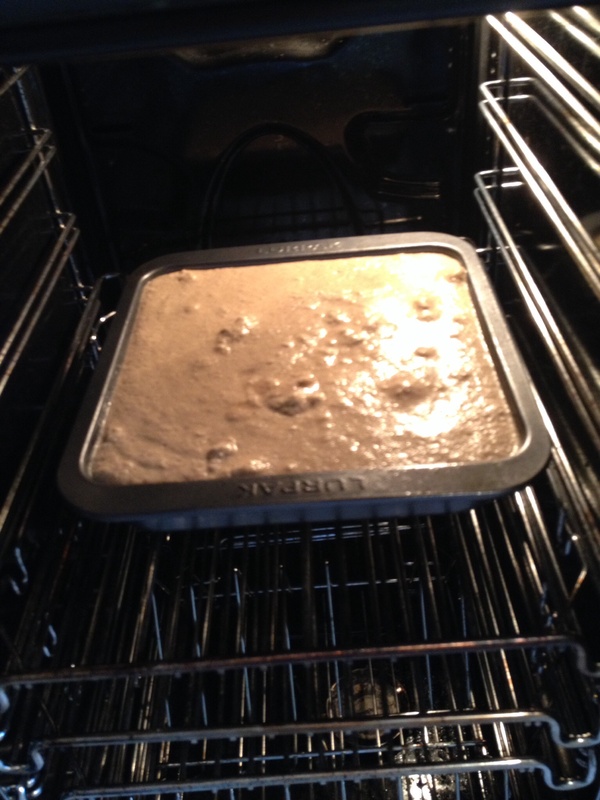 Pour the mixture into the prepared tin and bake in the oven for about 50-55 minutes or until the cake is a dark brown on top and the centre does not contain any liquid. It will still feel soft. 9. Leave to cool in the tin. 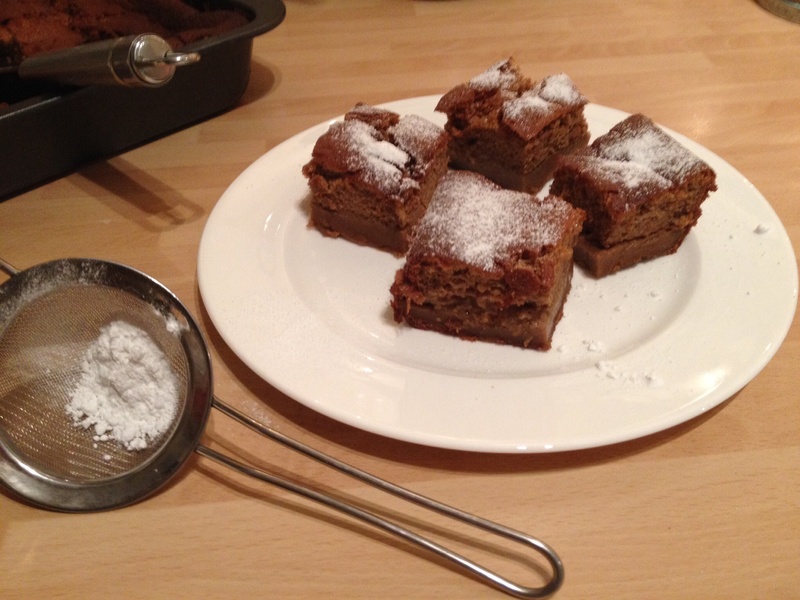 Cut into 16 and sift icing sugar over the top to serve.